Judie Conley has been the team captain of Karen’s Angels for the last 12 years in honor and support of her sister-in-law, who is a breast cancer survivor (pictured above). Judie’s Race for the Cure team started with eight members and has since grown to a whopping 65 members! As the team has grown, so has the number of survivors within the group. The members of Karen’s Angels ‘party with a purpose,’ finding fun ways to engage and connect with the community. Judie hosts many creative social events throughout the year with the goal of increasing fundraising each year. After the Race, Judie even hosts a ‘Victory Champagne Brunch’ for her team to celebrate their dedication to the cause. Their hard work is paying off; Karen’s Angels has raised about $25,000 in support of the Komen mission over the years. As an individual fundraiser for Race, Judie has been on the Pink Honor Roll in 2012 and again in 2016. Judie is also a Susan G. Komen Community Health Advocate and helped develop a health disparity initiative in Marion County, aimed at reducing late-stage diagnosis and death rates for African American women in Indianapolis. “It’s important to me that I can serve as an advocate in the community, educating people about breast cancer and debunking horror stories that cripple our strides to promote self-help and awareness through accurate knowledge,” said Judie. Judie was honored at the 2016 Circle of Hope celebration for her involvement with Komen Central Indiana. Her sister-in-law, Karen, and several team members came with her to show their support and appreciation for everything Judie does to advance the fight against breast cancer. Judie Conley is one example of an everyday hero who is making a difference in the fight against breast cancer in ways big and small. 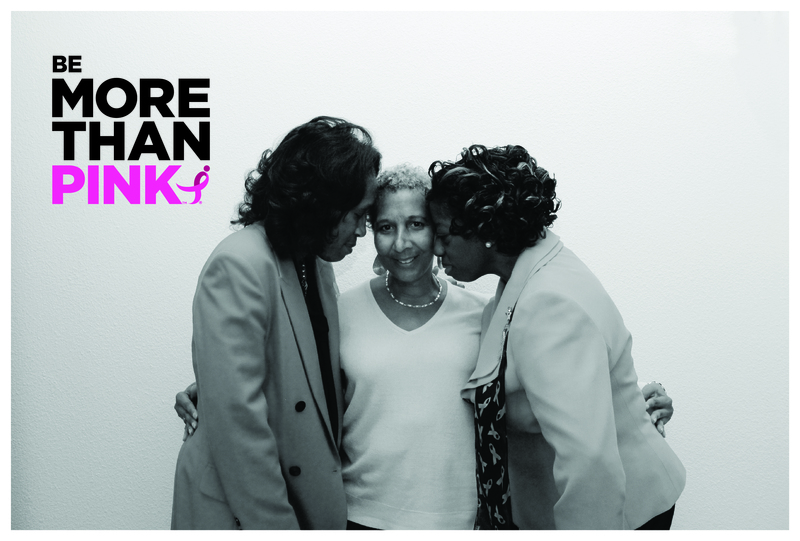 Join Judie in being More Than Pink by getting involved with the Race.